Sales simply done. From start to finish. Drag lives in Gmail. It's everything you need to get close deals. Most sales start and end as an email - Drag eliminates extra step of a third-party CRM. No more copying and pasting from email to CRM. Your entire sales team can collaborate from one place, Gmail. Spend more time selling, less on administration. 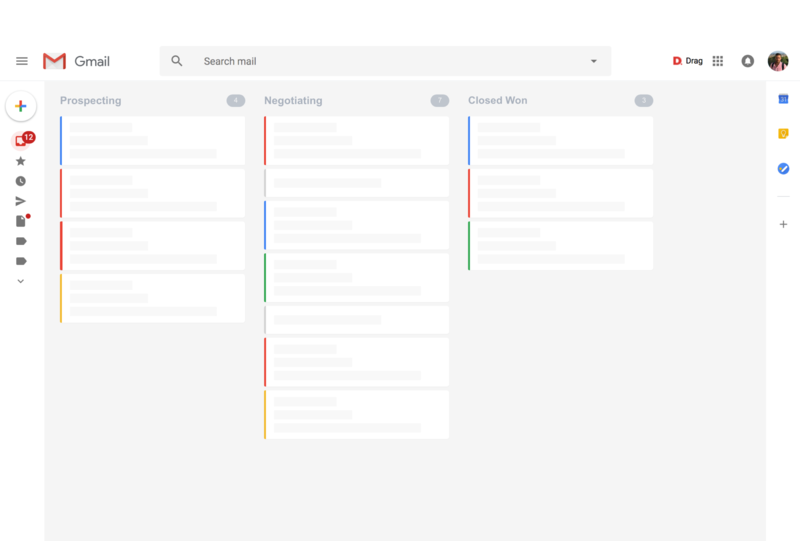 Running your sales from inside Gmail is the most lightweight workspace to close more sales.